Here is the audio (transcript below) from the radio interview Thursday on KNPR radio about tithing in the Recession. I only spoke for a minute or two within the last 7 minutes of the program, so you may want to skip to that part. I wish i could have explained more, but the program was not really setup to go into any detail. Here is a transcript below of just my conversation with the moderator. Moderator: “Joining us now is Jared Bartholomew. Jared Bartholomew is based in Jacksonville, FL, which is where he is today. He’s the founder and director of a website called “Church Stewardship and Tithing Report”. It’s a site critical of tithing practices. Jared Bartholomew, you’ve come down as critical of tithing. Tell us a little bit about why? Churches offer faith salvation, camaraderie, community, shouldn’t they ask for some support of compensation in the form of tithing? Moderator: Yet we are hearing from callers who are saying that they’ve got no problem with the notion of tithing, given even their own difficult financial circumstances. Moderator: You have said on your website that tithing is easy . . . for sissies, cause it allows people to give without having to deal directly with the recipients. Say a little more about this if you would. 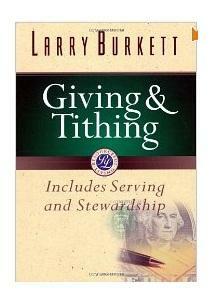 Do people prefer tithing because it is an easier, or perhaps a less direct way of giving? Me: I guess an example we can expain. I’m sure we’ve all watched TV and seen that starving child or we’ve dealt directly with some who is indegent and looks really helpless. To us personally that’s uncomfortable. We don’t want to confront that person. So the easiest thing for us to do is hand that check over to a nice reputable organization without us having to personally interract with friends family or with people we don’t know, that we would be uncomfortable with. Moderator: So what do you think a person should do if he or she wants to make a difference? Is there an alternative? Hi, I think this is a really intelligent point you are making. I agree, people should give what they can afford to give and give because they want to give. I think obligation is the wrong way to go and in my mind it’s a judgment and who’s in a position to judge another person?